What an awesome night at the Perth Motorplex last night. Corey Marriott and Co did an outstanding job to get 50 cars lined up ready to race over three rounds throughout the Wednesday night. 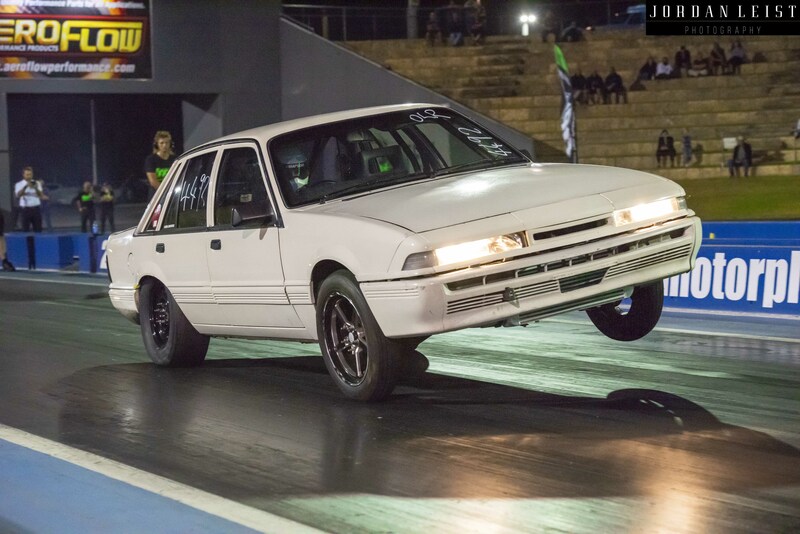 The premise was simple, radial tyres only and the quarter-mile distance was ditched for the more exciting and much closer (in racing terms) eighth-mile. Cars that had previously run under 11.00 were eligible to compete, and the pairs were designed to be as close as possible to maximise the entertainment factor. The buzz in the air and in the stages lanes made for an incredible vibe and which is often missing from the usual Wednesday night proceedings. I hadn’t been down to the ‘Plex to watch racing for a long time, so I was glad to have my camera with me for the action-packed three hours I had trackside. The next time they run a similar meeting – you don’t want to miss it!